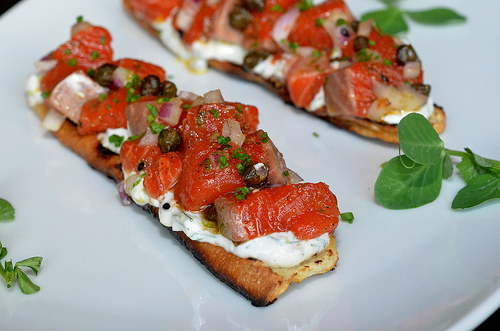 Summer is the season for fresh, heart-healthy wild Alaskan salmon. In July, the world’s largest annual sockeye salmon run takes place in Bristol Bay, Alaska. Known as the “salmon lover’s salmon” and celebrated for its brilliant red color and distinct, robust flavor, sockeye from Bristol Bay is naturally rich in heart-healthy Omega 3s. The Bristol Bay fishery contributes 40 percent of the world’s supply of sockeye and together with the region’s other commercial fisheries, employs 75% of the local population. Located in southwest Alaska about 300 miles from Anchorage, the environmentally secluded region is comprised of five pristine river systems and deep lakes that are prime habitat for these iconic fish and the ecosystems they support. Despite the rosy forecasts for this year’s season, sockeye and other salmon species are vulnerable to natural and manmade stressors such as climate change and habitat loss from dams and urban development. There are seven sockeye populations in the Pacific Northwest, one of which is endangered and another threatened. To date, Alaskan salmon fisheries have been among the best managed fisheries in the world; however, a proposed pebble mine in Bristol Bay could wreak havoc on this productive and valuable fishery and the ecosystem upon which it depends. The proposed mining operation would be the largest open-pit mine in North America that would process more than 10 billion tons of ore. Similar mines have already proven to have detrimental affects on both human and environmental health around the world. According to the Environmental Protection Agency’s (EPA) Watershed Assessment, a mine this size could block up to 87 miles of salmon streams and bury more than 4,000 acres of critical wetland habitat. Grahame Nicolson, commercial fisherman at Graveyard Point on Bristol Bay, near Naknek, Alaska. Photo by Christopher Nicolson. Santa Monica Seafood, a Seafood for the Future partner, has made a generous donation to Trout Unlimited to conduct essential research that may help save these iconic salmon runs. The research is being conducted by Dr. Carol Ann Woody, one of Alaska’s top fishery biologists. Her research will benefit both state and federal agencies in their management of Bristol Bay’s fisheries and protection of critical salmon habitat. This summer, chefs around the country are also joining the fight to save Bristol Bay’s salmon fisheries, and you can too! In partnership with Chefs Collaborative, Trout Unlimited, the Bristol Bay Regional Seafood Development Association, and Sea to Table, chefs are featuring Bristol Bay salmon on their menus and at special dinners to educate and encourage public involvement to support these fisheries. You can show your support for some of our last remaining wild salmon fisheries and the local communities that depend on them by choosing Bristol Bay salmon at participating restaurants. Consult the full list of participating restaurants, watch and share this video by Sea to Table and Save Bristol Bay, and visit SaveBristolBay.org to send an email to your representatives voicing your concern for the conservation of these iconic and fragile fisheries. 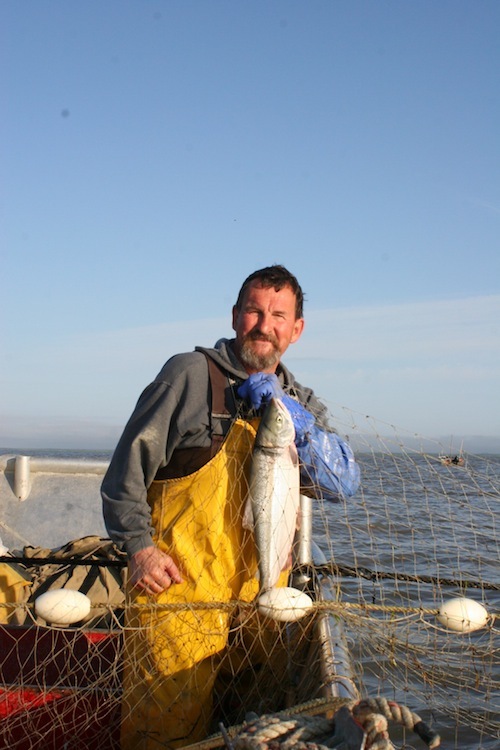 “I hope that people who have a chance to eat sockeye salmon caught in Bristol Bay appreciate that they are sustainably caught, but also represent the lives and livelihood of the tapestry of families and communities,” said Christopher Nicolson, Bristol Bay commercial fisherman. Kim Thompson is the program manager for the Seafood for the Future (SFF) program at the Aquarium of the Pacific in Long Beach, California. SFF is a nonprofit seafood advisory program dedicated to promoting healthy and responsible seafood choices in Southern California. The program works with restaurants, fishermen, seafood purveyors, government agencies and other nonprofit groups to execute its mission. Visit SeafoodForTheFuture.org to learn more about SFF partners and recommendations.